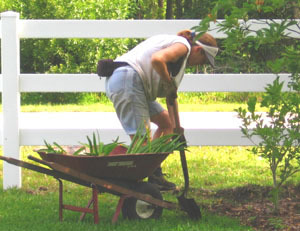 I've been a gardener all my life and earned an MS degree in Botany from the University of Maryland. 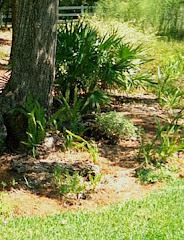 All of my previous experience and education did not help one bit when my husband and I moved to northeast Florida in 2004 and attempted to garden here. While we typically have several killing frosts in the short winter here, the soil doesn't stay cold enough for tulips to grow or to kill the bugs. 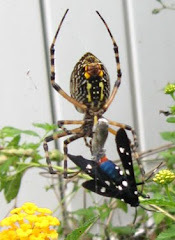 Dealing with this new gardening environment was an adventure in Florida gardening. What's left of the lawn is a freedom lawn. I've learned a lot and have covered a wide range of topics over the years, but my columns are not armchair or ivory tower topics. I'm out in my yard with dirt under my fingernails, testing techniques, and examining the results as I work to make our landscape more sustainable. 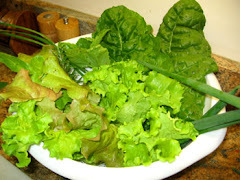 My husband and I enjoy growing vegetables and cooking from the garden. Florida's mild winters means that cool weather crops such as lettuce and carrots are available from December through April. Warm weather crops often have a long season or can have two crops. 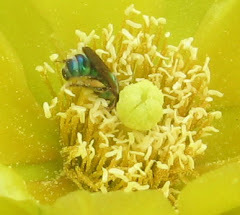 I am an active member of the Florida Native Plant Society and urge you to join a local chapter, attend their educational meetings, go on their guided field trips to some of the local sections of "The Real Florida," and participate in their outreach events. If you attend the annual conference, look me up, because I'll probably be there to continue my learning process about my adopted home state. So how did I start writing books? In March 2006, after hearing John Byram, editor and chief of University Press of Florida, talk about how The Press was always looking for topics related to Florida, I asked if he'd be interested in republishing a collection of my Transplanted Gardener columns. 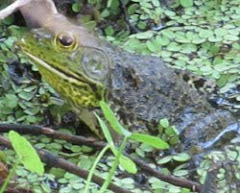 He declined, but asked if I'd write a book on organic gardening in Florida instead. I agreed, but after more research on the topics involved in Florida gardening, my formal book proposal was for "sustainable" gardening instead of organic gardening because it is a larger topic with wider appeal. The writing process included a great deal of research, using online and printed materials plus personal communication with various experts. Several rewrites with major changes were made with suggestions from experts hired by The Press, from my own contacts, and finally from the copy editor who is also a master gardener. The book was released in September 2009 and you may order it from University Press of FL, Amazon, or your local bookstore. 50% of royalties from the sales of this book is paid directly to the Florida Chapter of The Nature Conservancy. 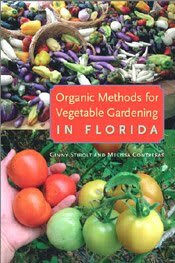 I also wrote a book on growing vegetables organically in Florida for University Press of Florida. I have a co-writer, Melissa Contreras, in Miami, because it's really different down there. It has sold very well and has been #1 on Amazon for southern garden books several times since its release in Feb. 2013. Ironically, this is the book that John wanted me to write back in 2006, but it's much better to have written it at this stage, because of all the experience I've collected in both gardening and writing. Plus, more people are ready to grow more of their own vegetables to control their food from seed to table. Unlike most vegetable books, the crops are arranged by family so gardeners can do a better job of crop rotations by plant family to thwart some of the pest problems and renew the soil ecology between growing seasons. You my purchase it from University Press of FL, Amazon, or from your local bookstore. 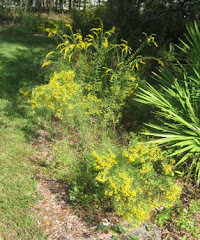 I wrote my third book "The Art of Maintaining a Florida Native Landscape" to help Floridians learn that an urban/suburban yard requires some care even if it is filled with native plants. I included detailed information on planting methods and techniques that will reduce the time and effort on maintenance. There are quite a few books on Florida's plants, but mine answers the question, "And then what?" 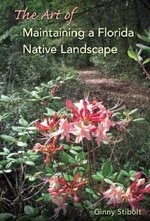 50% of the royalties for this book goes directly to The Florida Native Plant Society. You my purchase it from University Press of FL, Amazon, or from your local bookstore. 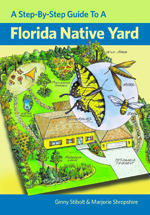 I wrote my fourth Florida book "A Step-by-Step Guide to a Florida Native Yard" with Marjorie Shropshire as a coauthor because her drawings play an important role in helping our readers visualize how to accomplish the landscape planning. This book answers the question, "I have a small yard filled with exotic plants. 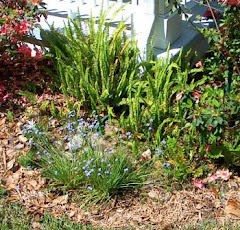 How do I transform it to an easy to care for native landscape?" We created a fictional, but typical 1/3 acre lot and progressing through the steps, we nativized that yard. 20% of the royalties will be paid directly to FNPS. You may order it from University Press of Florida or Amazon. 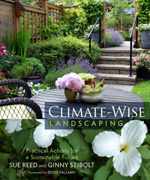 I wrote "Climate-Wise Landscaping: Practical Actions for a Sustainable Future" with Sue Reed a Massachusetts landscape architect. Dr. Doug Tallamy wrote an excellent foreword. Published by New Society Press in BC, Canada. This book takes an optimistic approach with hundreds of actions that people can take now to accomplish at least one of 3 objectives: 1) help the landscape survive climate change, 2) help wildlife survive climate change, 3) help to mitigate climate change. Even though this book is not specifically for Florida, these actions may be more important for Floridians than those on higher ground. 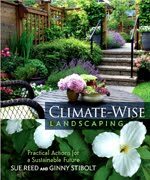 You may purchase it on our website www.climatewiselandscaping.com or from Amazon. 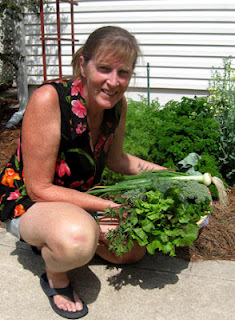 I've had a wonderful time learning more about Florida gardening and writing about it. I also have loved talking to gardeners around the state. I hope that my writing has inspired enough people to have had a positive impact on Florida and her ecosystems. 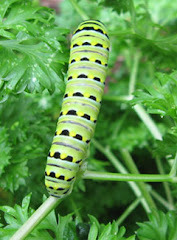 But this is not the end of my learning about gardening in Florida, my adventures continue. Join me. Follow my blog via email, so you won't miss any of my adventures. Thanks!